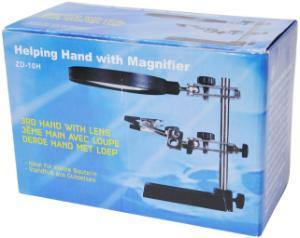 Need a set of extra hands for small components. Stand made of heavy cast iron to ensure stability when soldering circuit boards, or repair jobs or other DIY projects. 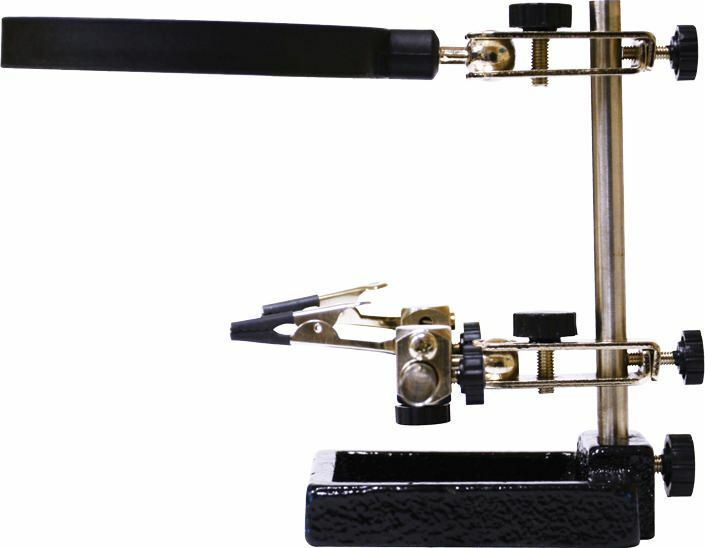 The precise grips hold even the smallest components securely. 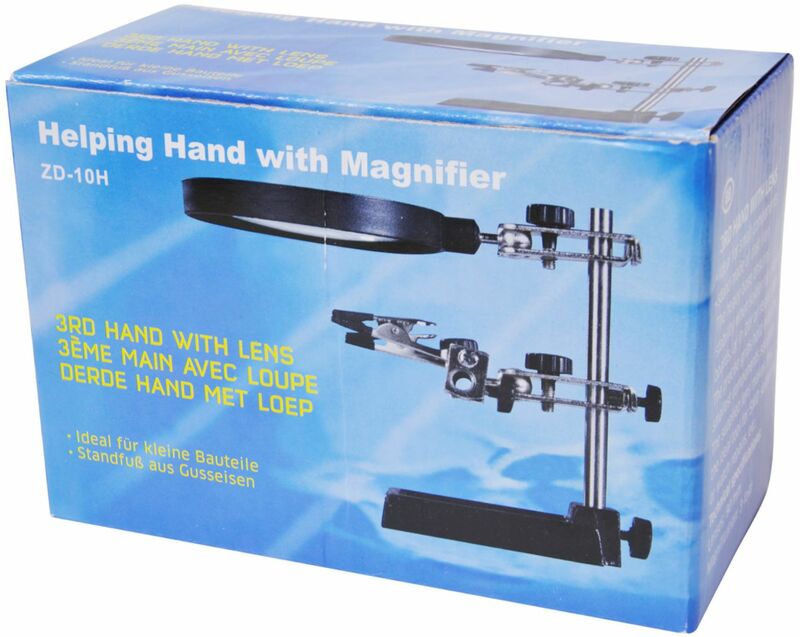 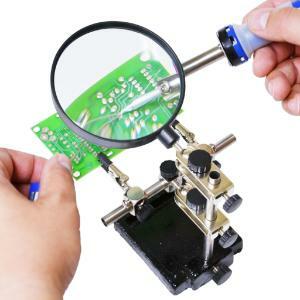 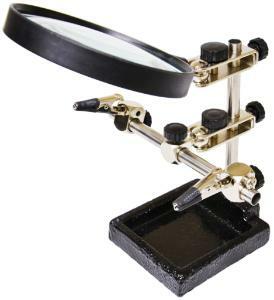 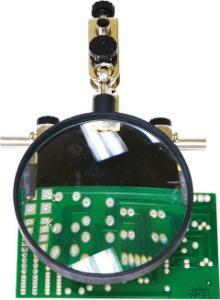 The supplied lens makes this the ideal tool for SMD soldering or watch repairs, etc.